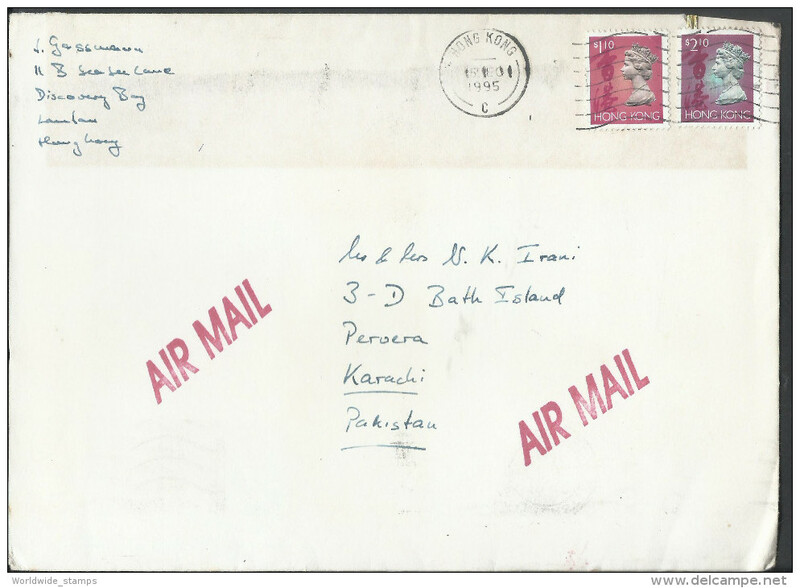 Hong Kong Registered Airmail 1987 $10 Victoria Harbor, $2, 90c Postal history Cover sent to Pakistan. 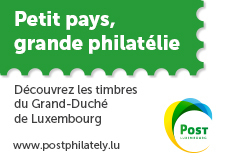 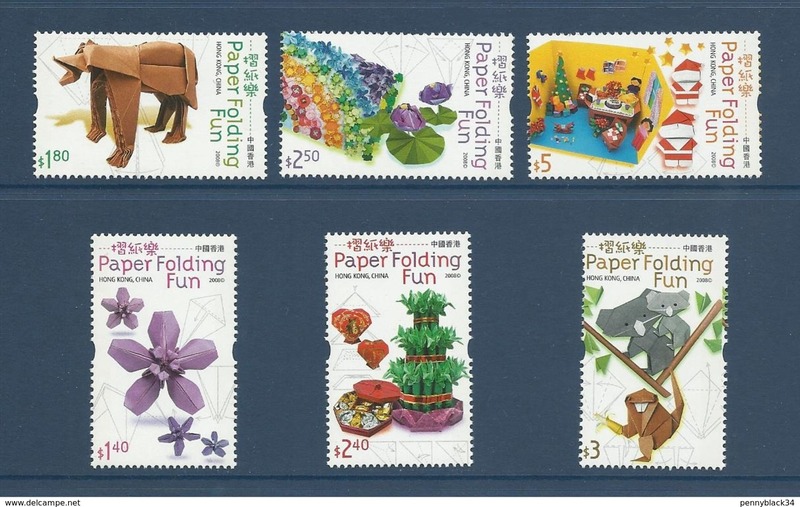 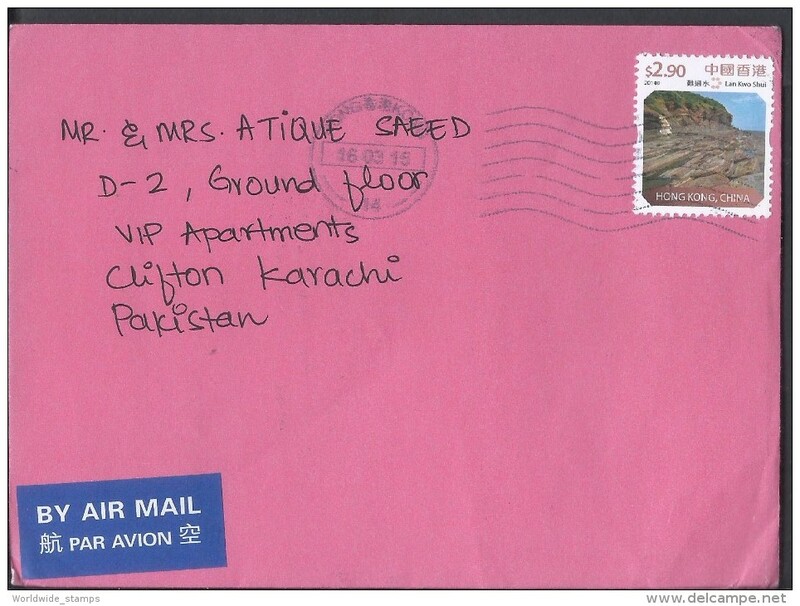 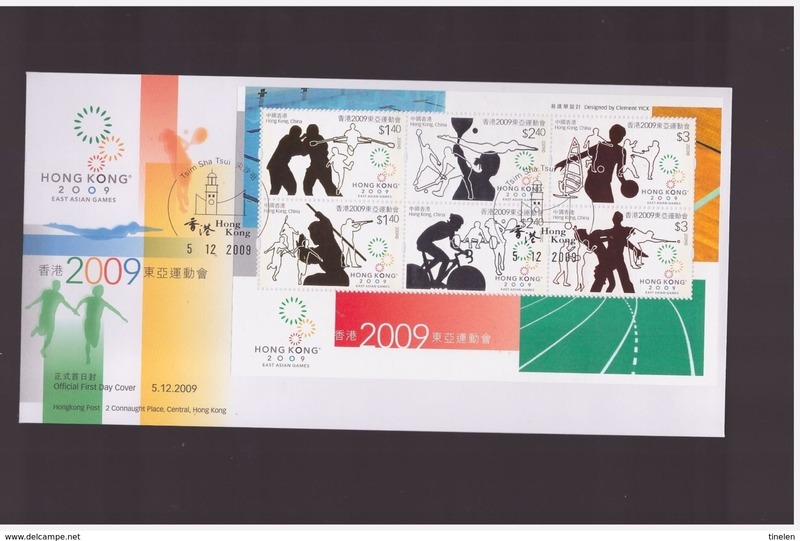 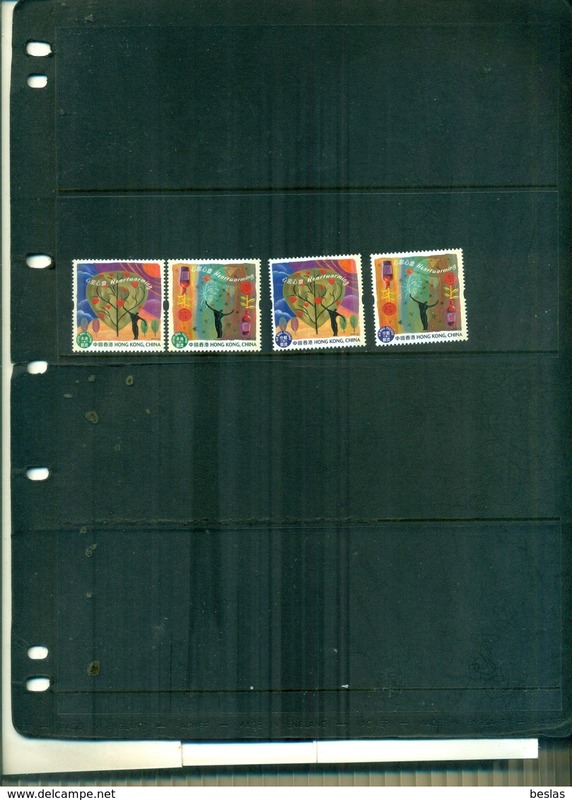 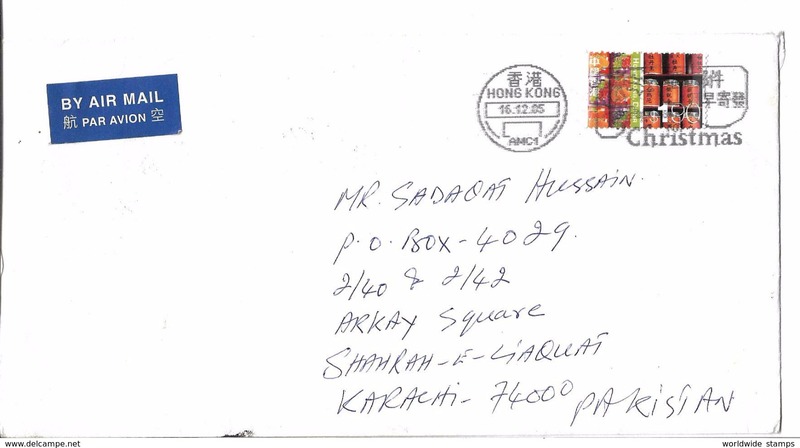 Hong Kong China Airmail 2002 Erhu, violin Musical Instruments Definitive Stamps Postal history cover sent to Pakistan. 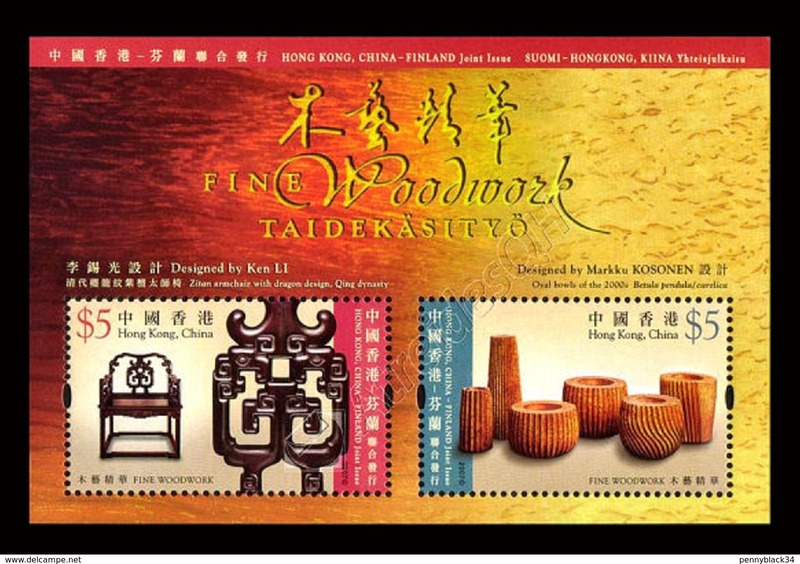 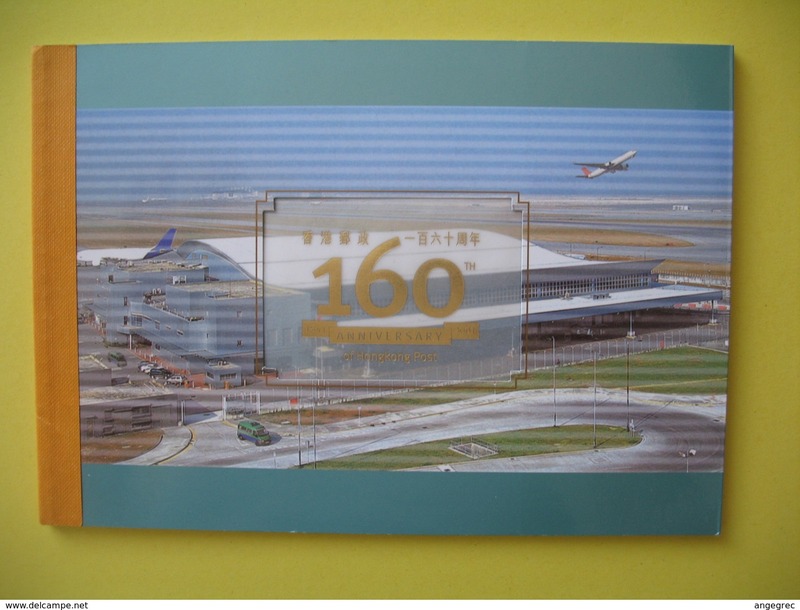 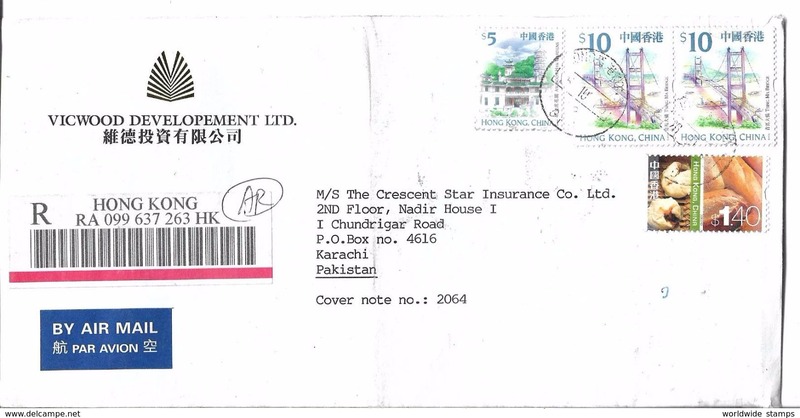 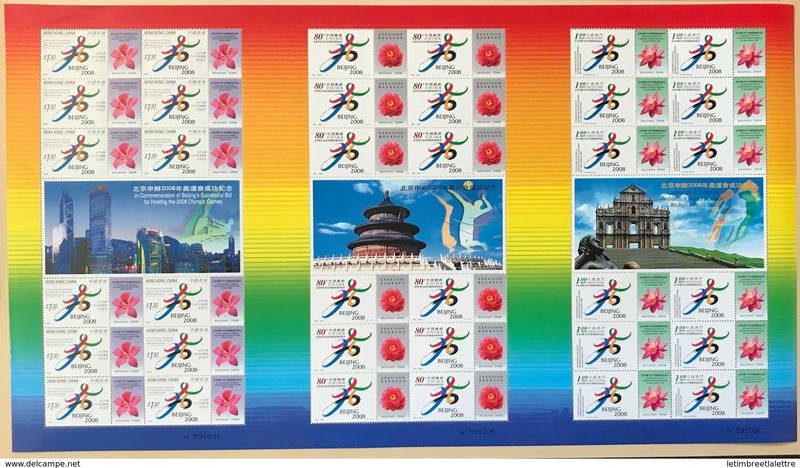 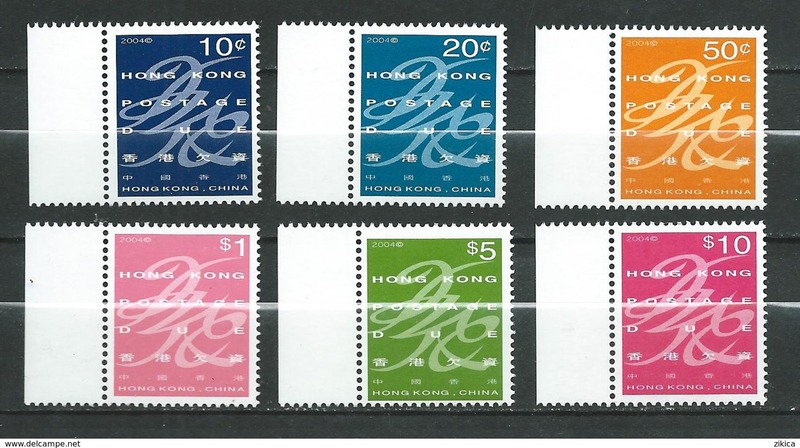 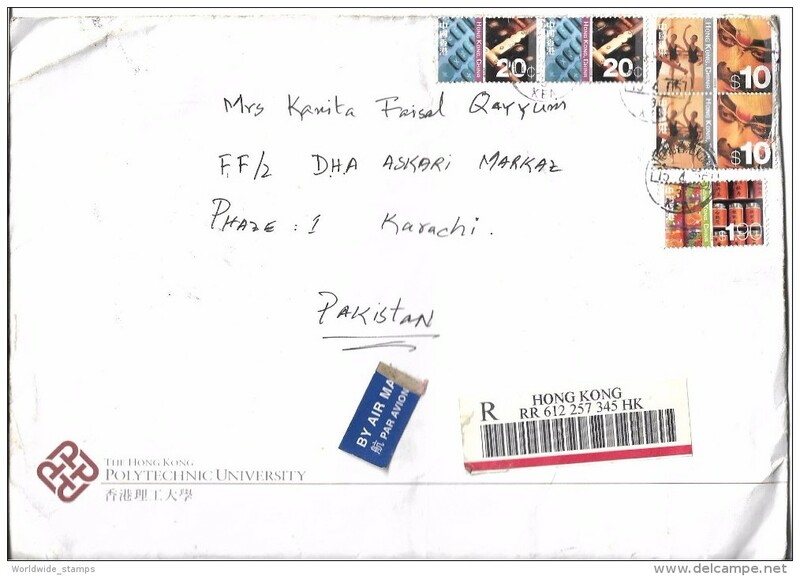 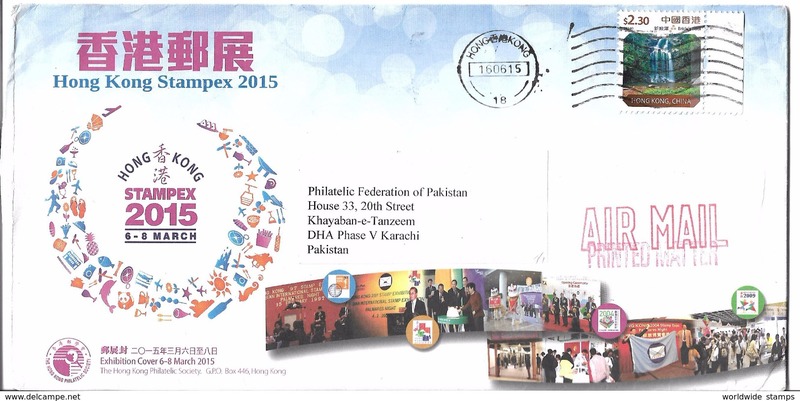 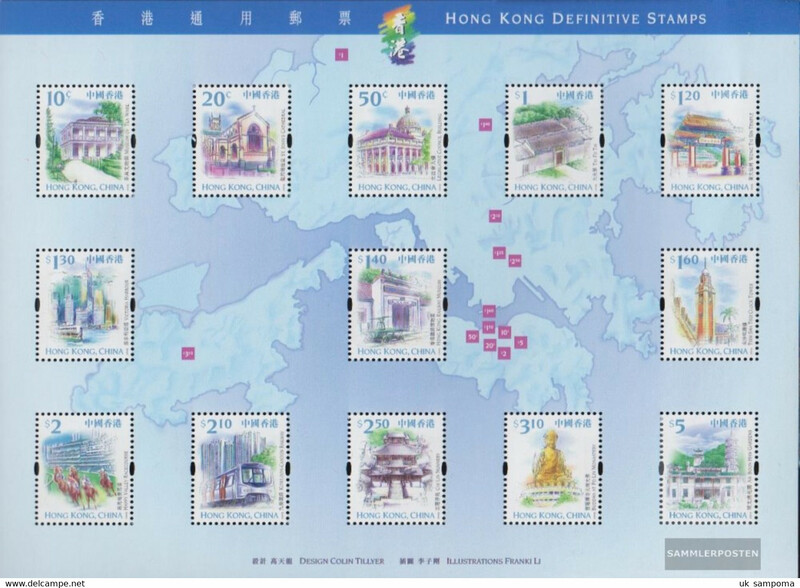 HONG KONG Stampex souvenir cover 2015, 2014 Bride's Pool to Pakistan. 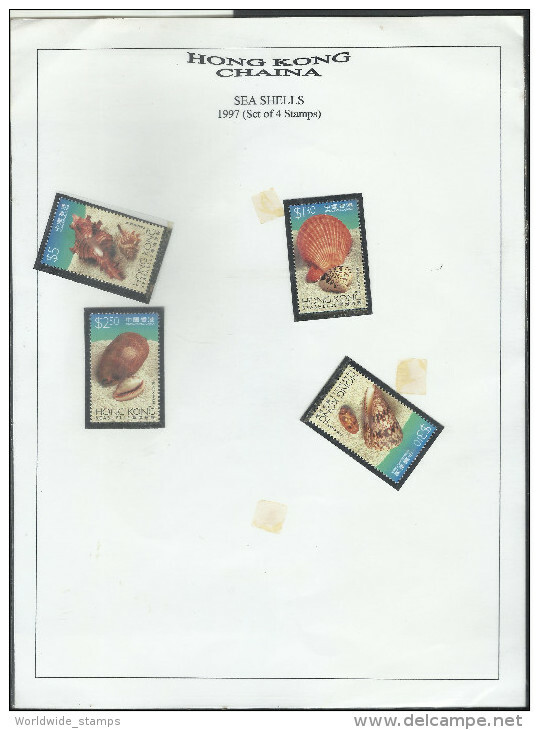 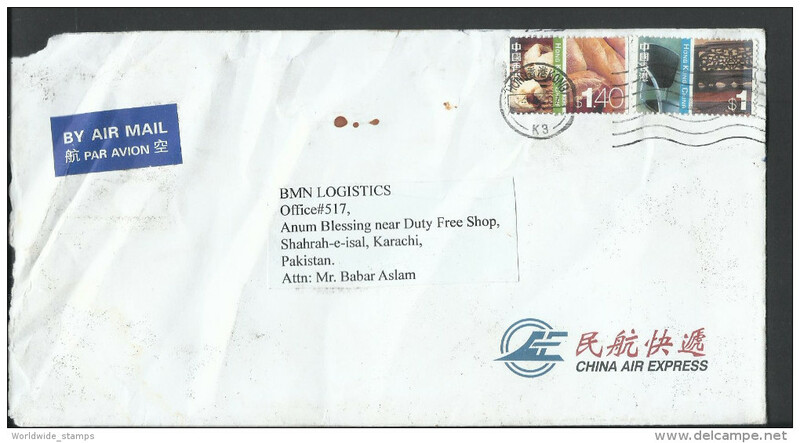 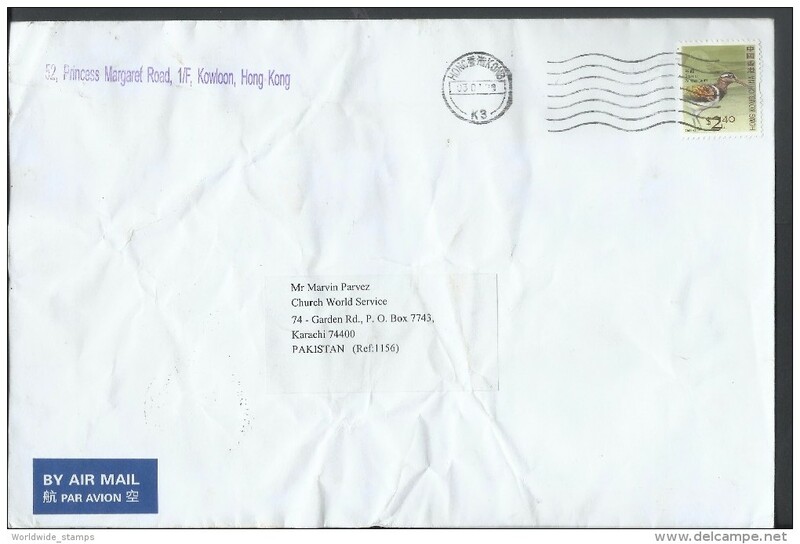 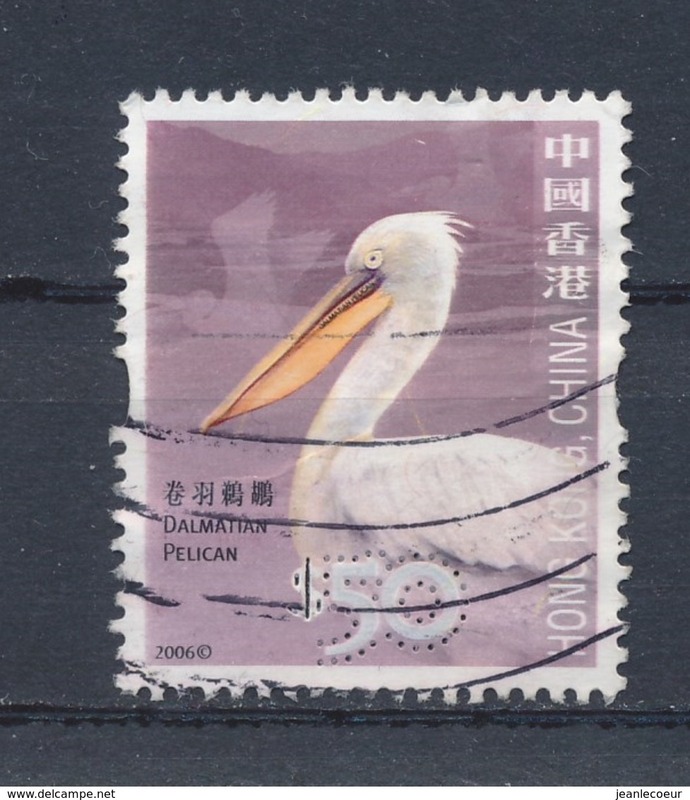 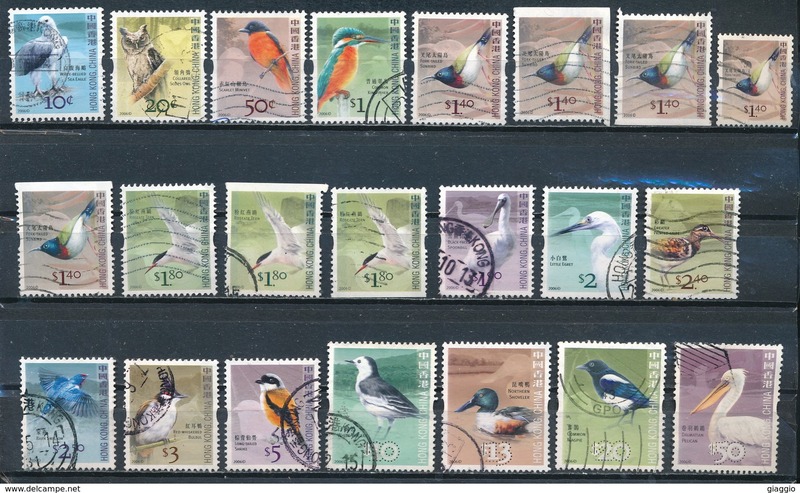 Hong Kong Airmail 2006 $1.90, Black-faced spoonbil Birds Postal history Cover sent to Pakistan. 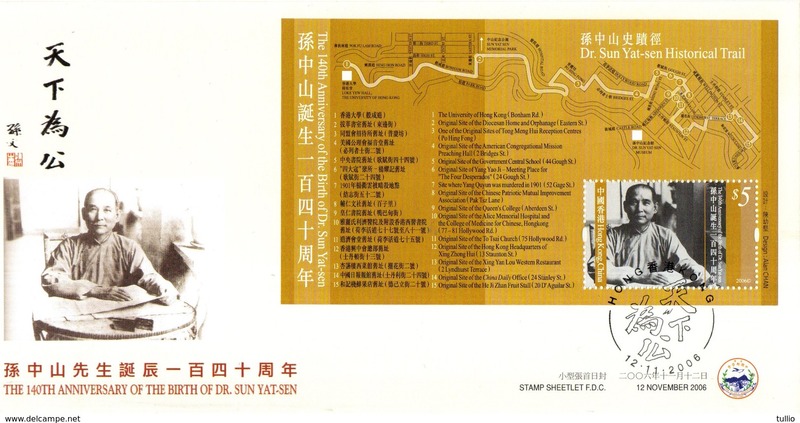 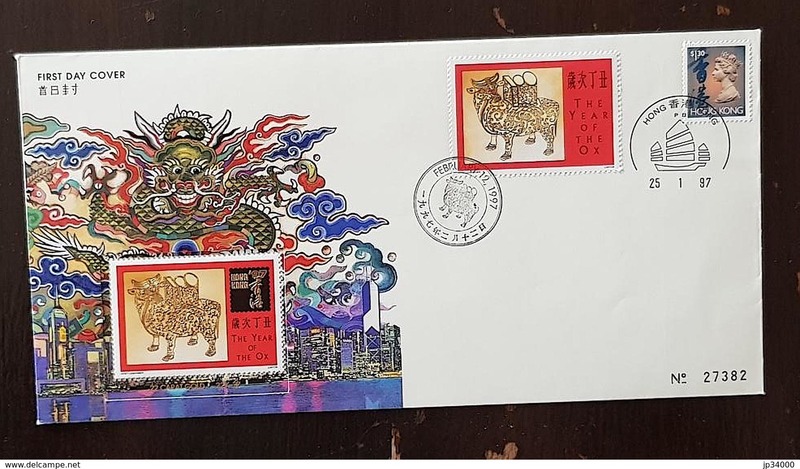 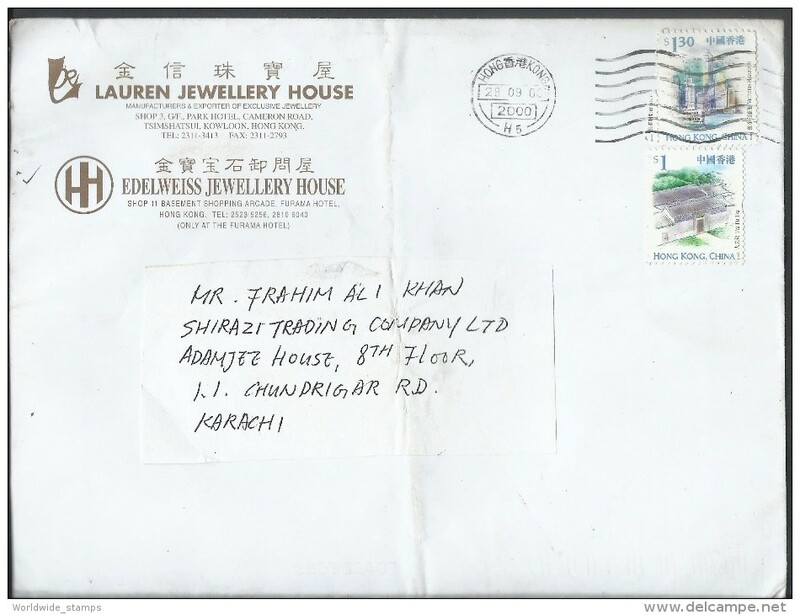 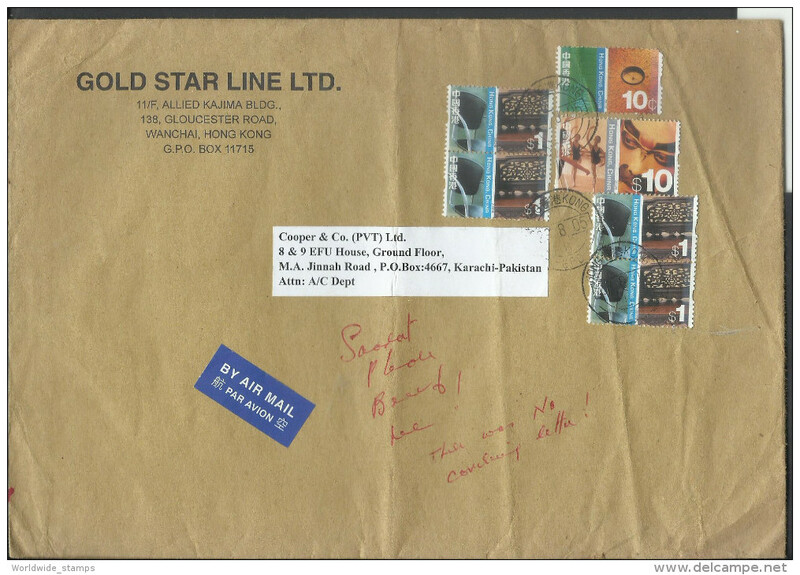 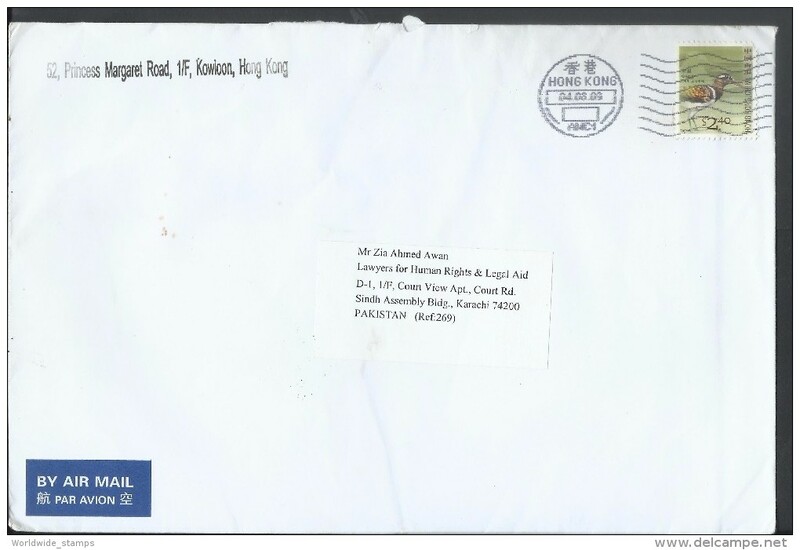 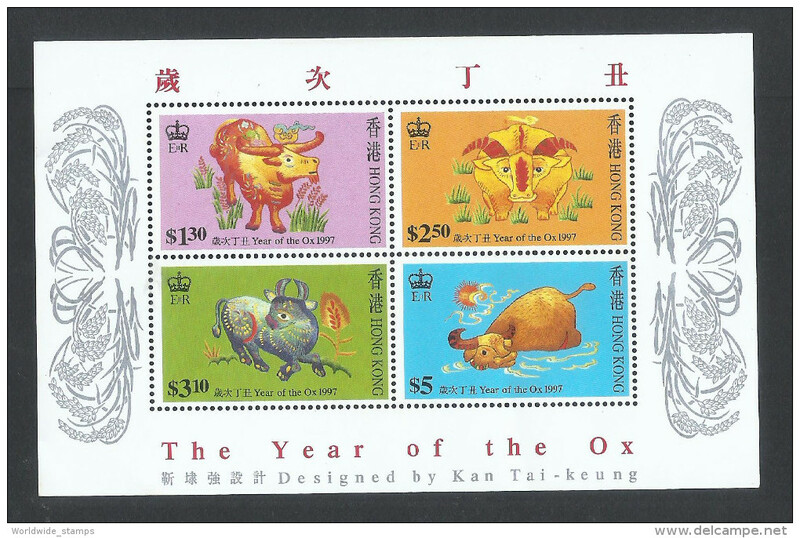 Hong Kong Airmail 1999 $1.30, Victoria Harbor, $1, Tai Fu Tai Postal history Cover sent to Pakistan. 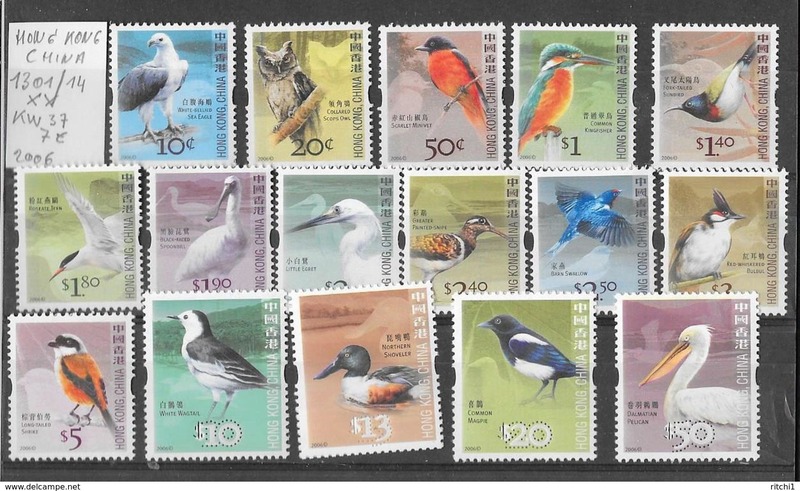 Hong Kong Airmail 2006 Bird Greater painted snipe $2.40 sent to Pakistan. 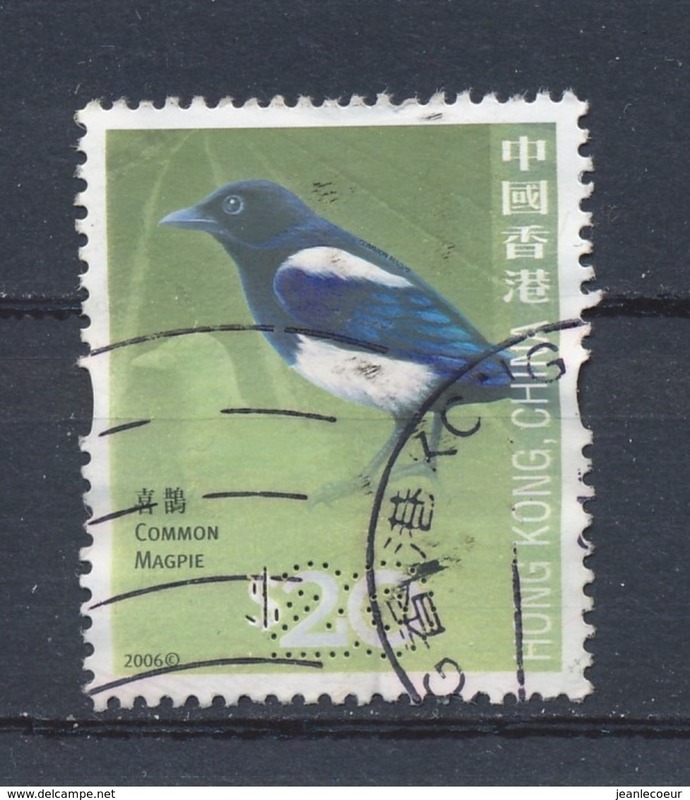 Nouveau Hong Kong Airmail 2006 Birds Long-tailed shrike $5, Collared scops Owl, 2002 Incense coil, stained Beijing glass window. 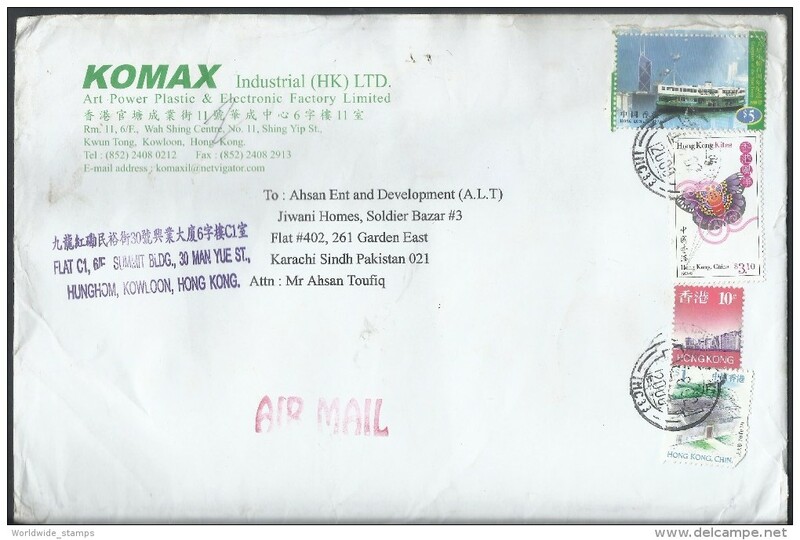 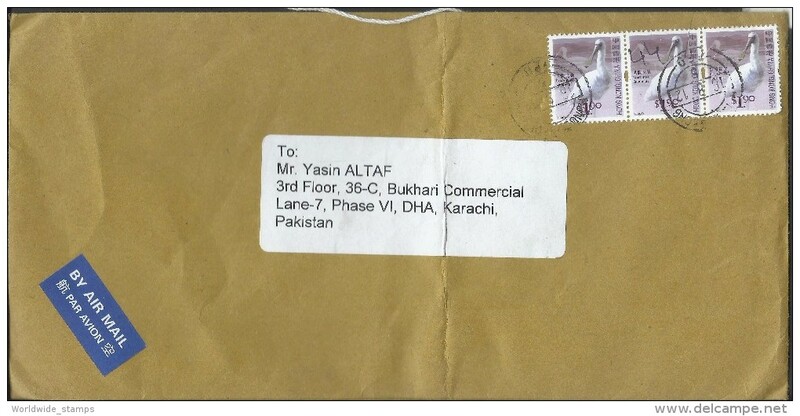 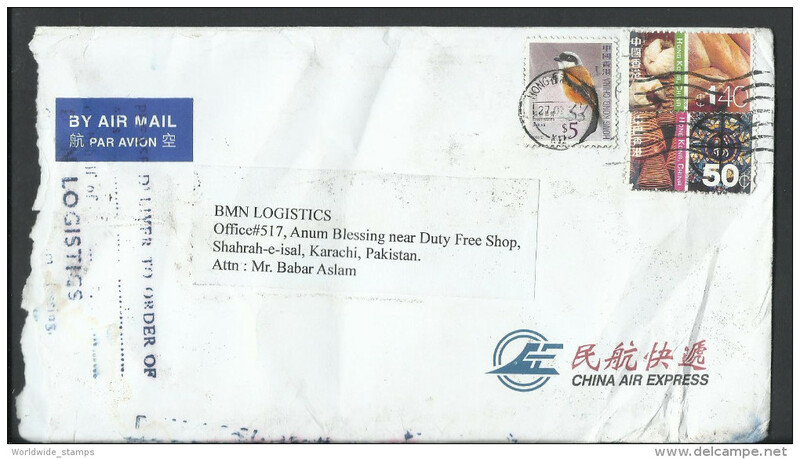 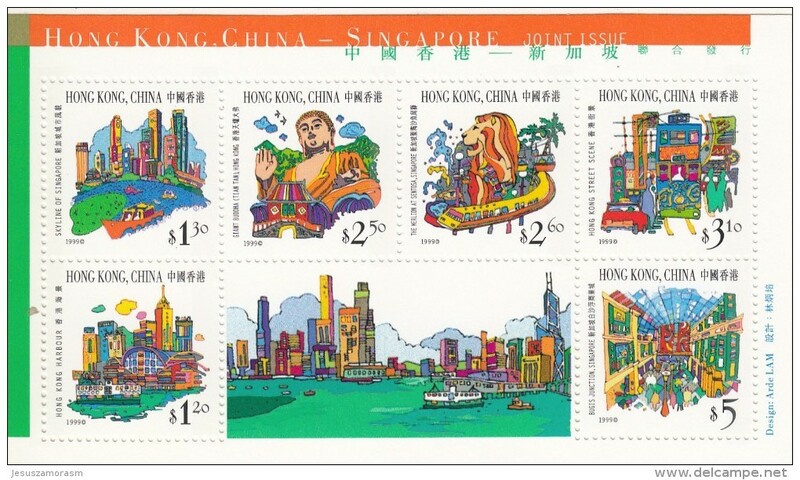 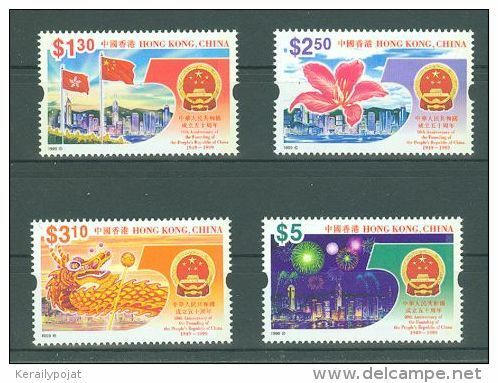 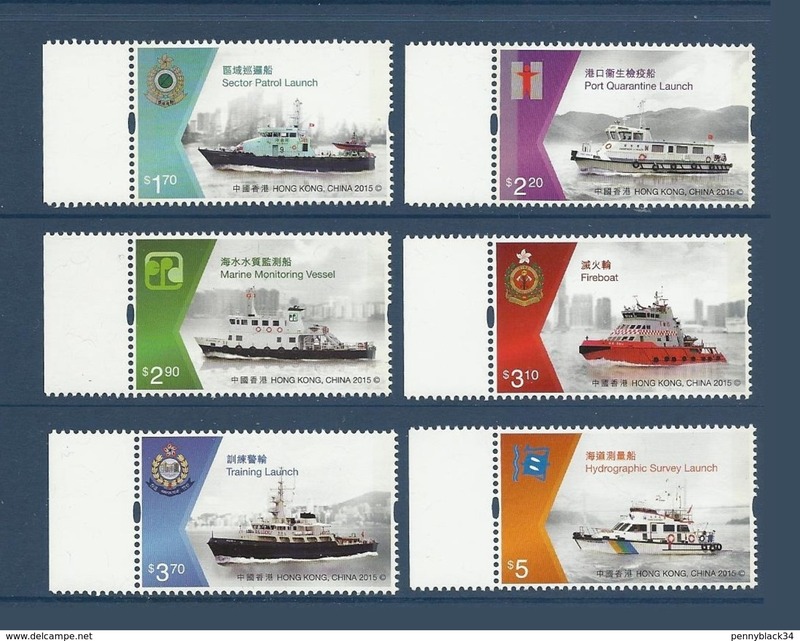 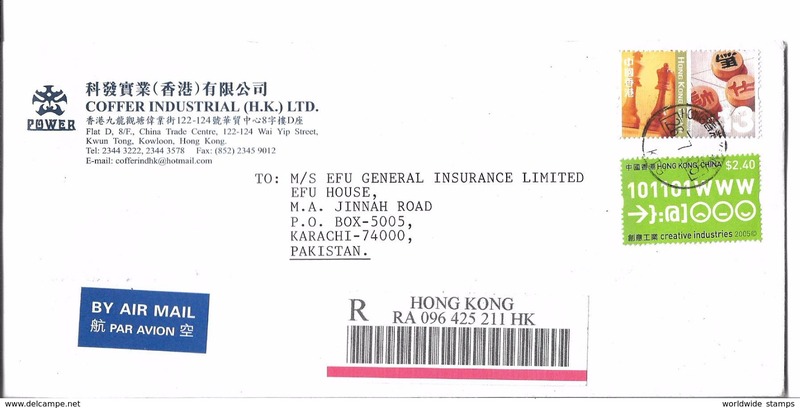 Hong Kong Airmail 1999 Victoria Harbor $1.30, Tai Fu Tai $1 sent to Pakistan. 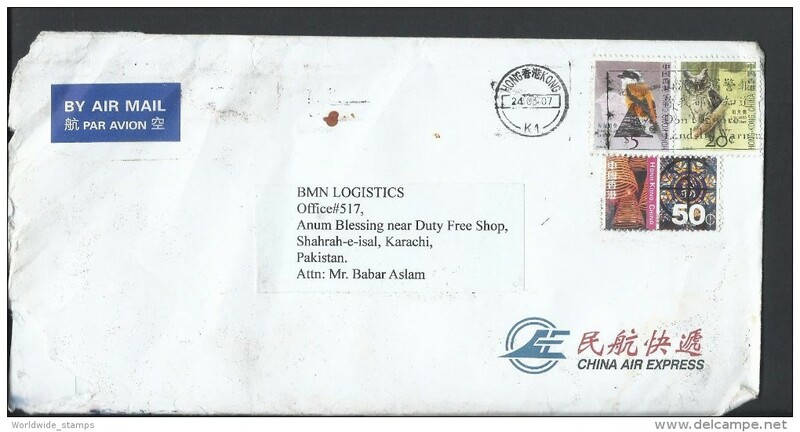 Hong Kong Airmail 2006 Greater painted snipe $2.40 sent to Pakistan. 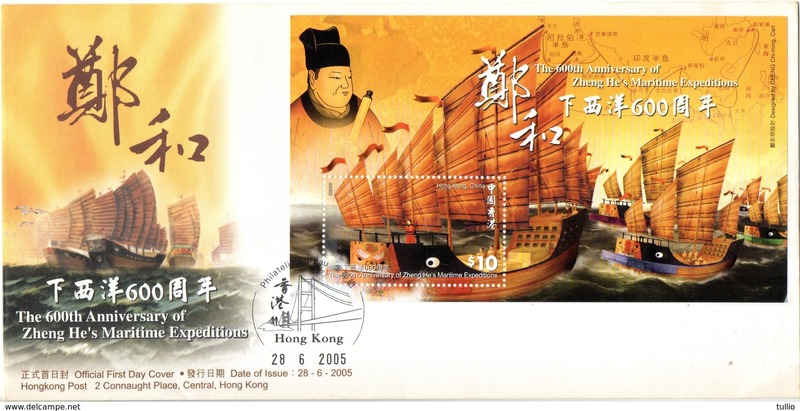 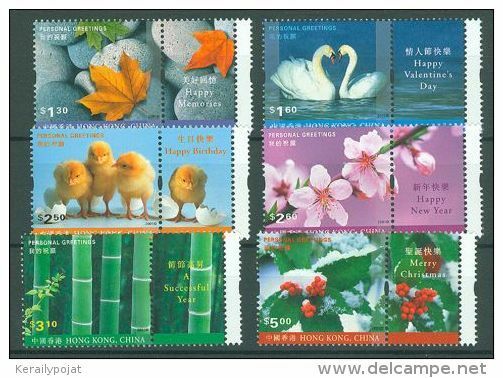 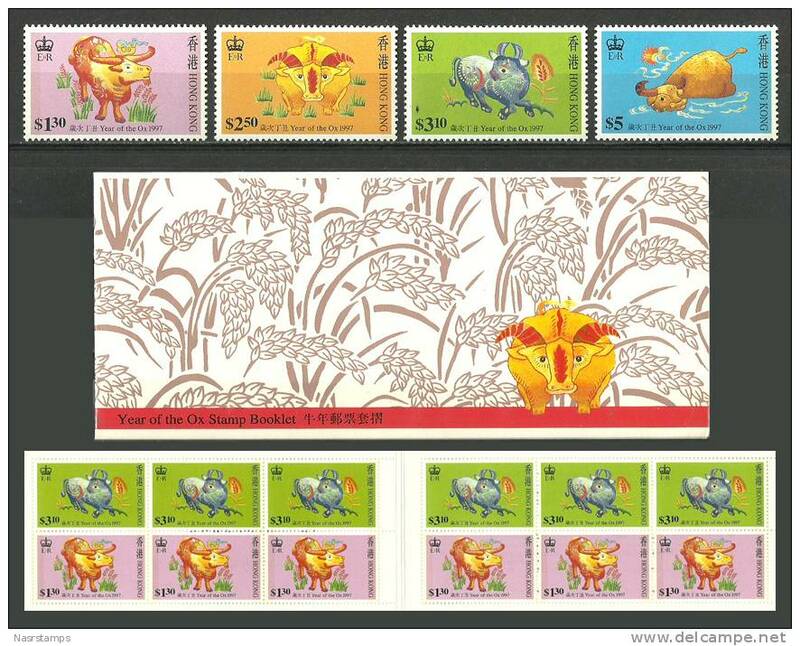 China Hong Kong Airmail 2002 Eastern and Western Cultures, Chair, Chinese bed, Ballet, Chinese Opera, Postal Cover. 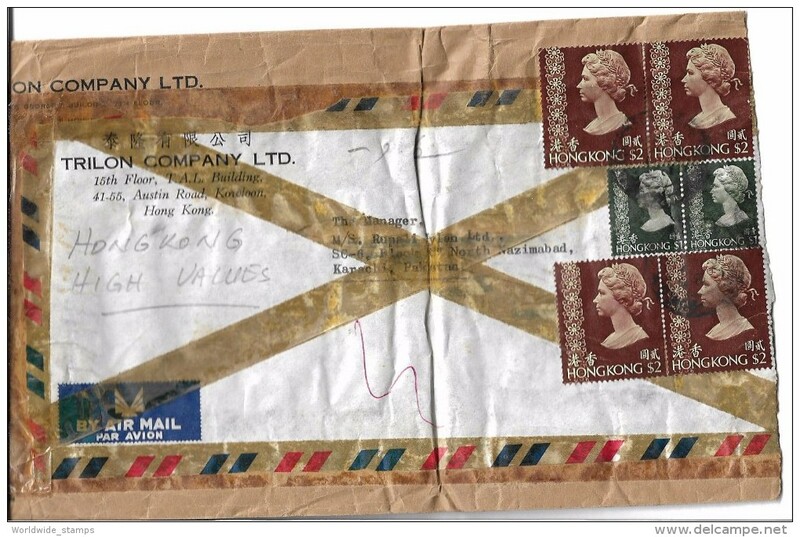 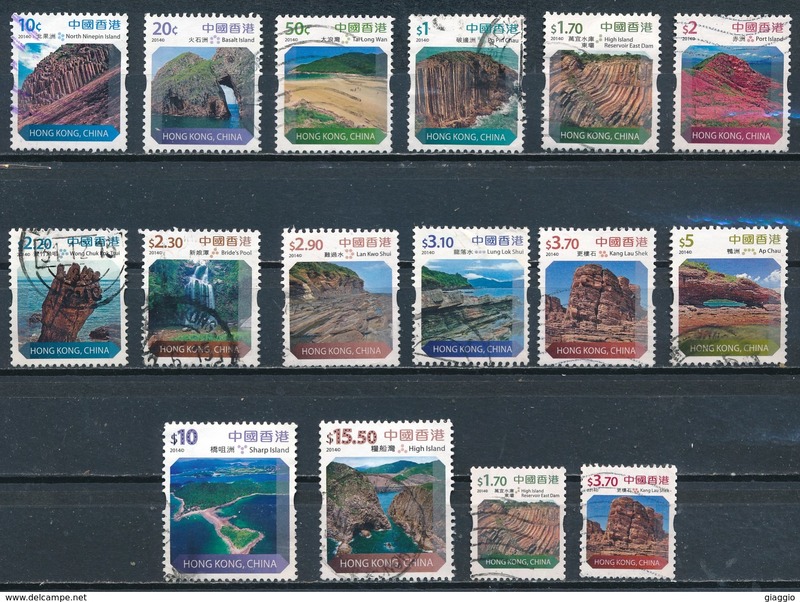 Airmail: Hong Kong - Kyrgyz Republic, 05.1999. 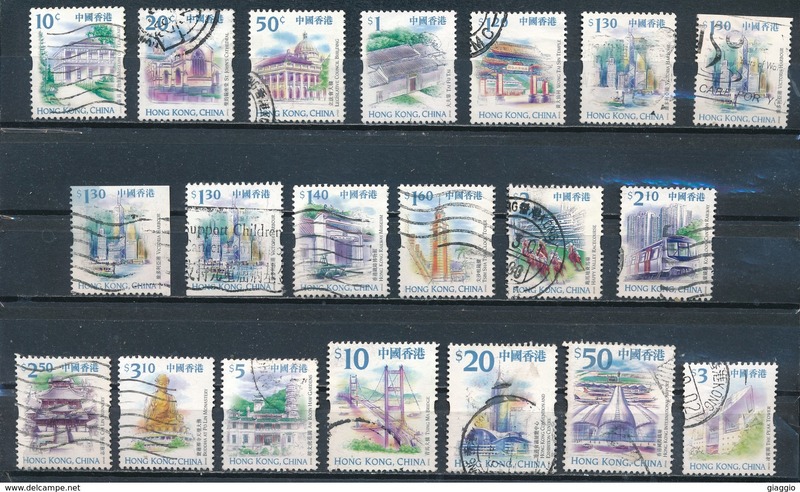 Airmail: Hong Kong - Kyrgyz Republic, 04.1998.